Are You Self-Conscious About Missing Teeth? If you have ever wondered what your smile might look like if that missing tooth wasn’t missing, Green Apple Dental Clinic in Brunswick can help. Dental implants are the ideal solution to missing teeth, helping you achieve a more beautiful and confident smile. You’ll love to show off your smile after completing one of our affordable dental implant treatments. Dental implants act as a false (but very strong) tooth root that are surgically fitted. Once the site has sealed, we attach a fixed crown, which will look and feel just like your natural tooth. 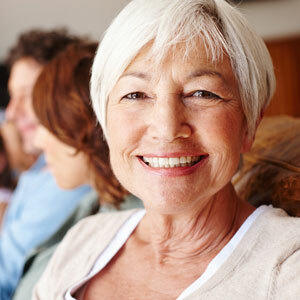 Dental implants are the perfect solution to missing teeth, as well as a number of other common dental issues. Our Oral Surgeon and Sedationist, Dr Jeffrey Field, is a specialist in dental implants. He’ll use the latest implant technology to help you smile with confidence again. Call Green Apple Dental Clinic to book your consultation with Dr Field today. Quality dental implants shouldn’t break the bank. This is why Green Apple Dental Clinic accepts all private health funds and has a on site for immediate claiming. In addition, we are preferred providers for Medibank and HCF and offer a range of financial services and flexible payment plans and a dental membership to meet your individual needs.